Hello and Welcome to another Fancy Folds Blog Hop! We are a team of Stampin' Up! demonstrators, who have come together to showcase different folding projects each month. Today our design team is excited to showcase the Hidden Message Card. If you're already hopping then you just came from the Talented Patrice Halliday Larsen. If you're just joining me, no problem! 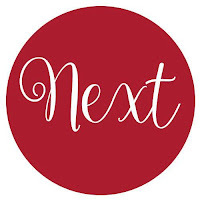 Just use the "Next" Button below and hop all the way around! This card fold is definitely an interesting one. It's so easy to assemble and yet... so mind baffling, on how it works... seriously! Since this card has a little "trick" to it, I thought a Halloween card would be awesome! You know... add a little "BOO!" factor to it. To create the Hidden Message fold, I watched this VIDEO by France Martin (a fellow Fancy Folds Design Team member!). I changed up the measurement for my card, to allow for 2" squares. So, I started with a 6"x8" piece of cardstock. I scored at 2", 4", and 6" and then made my slits at 2" and 4". My colour combo is Basic Gray, Pumpkin Pie, Basic Black, and Whisper White. Some additional colours I used were: Old Olive, So Saffron, Real Red, and Tempting Turquoise. 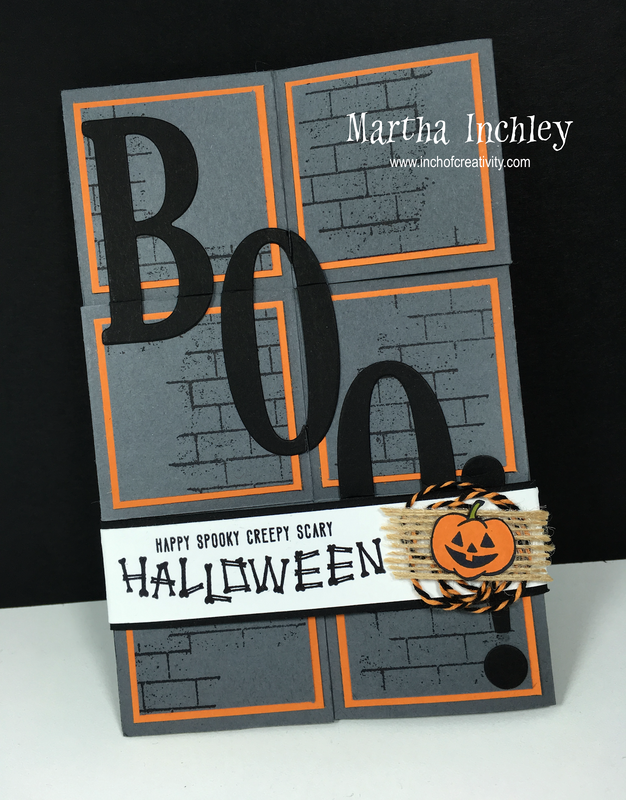 My card today features the wickedly wonderful stamp sets: Goulish Grunge and Mr. Funny Bones. LOVE THEM! 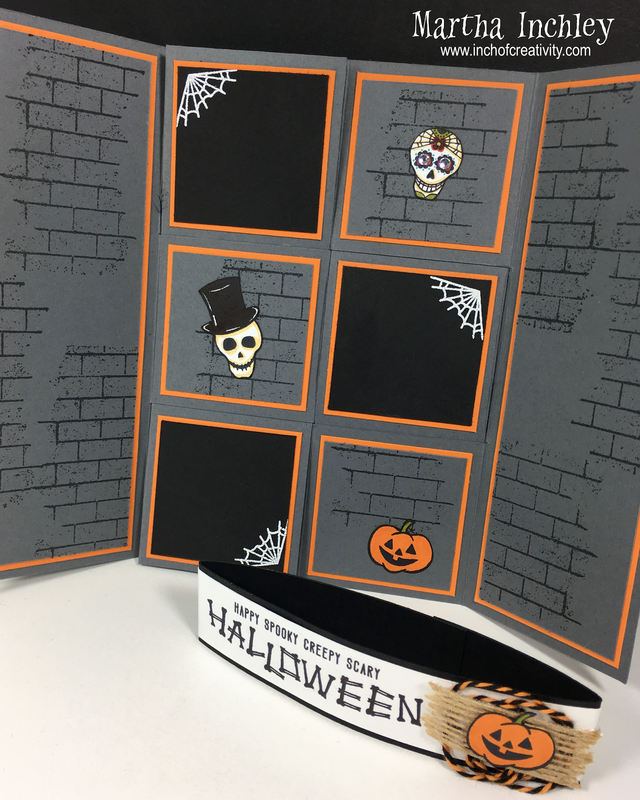 Since the card features a gate fold, I created a little belly band to keep it closed. 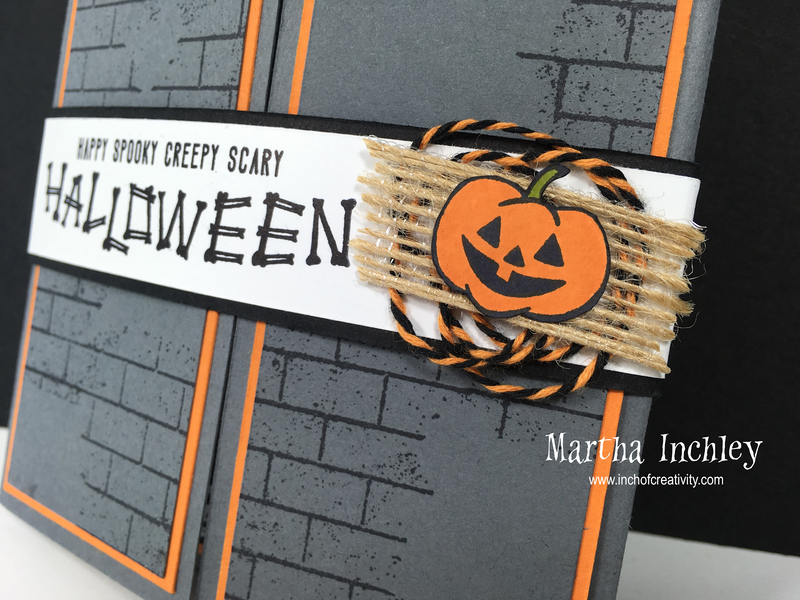 I stamped it with the "Bone-y" Halloween greeting and placed a friendly little pumpkin on some Halloween Night baker's twine and a little piece of Burlap Ribbon. On the inside, I've continued with the brick wall pattern and added in some "spooky" images from the Mr. Funny Bones stamp set. I stamped each one in Basic Black ink onto Whisper White cardstock and cut them out. For the spider webs, I used versamark and embossed them in Whisper White. I love the look of the squares: each one neatly matted. But I must admit I don't think the multiple layers work for this type of fold. Layers on the outer panels are fine, but the inner, opening parts, not so much. The card still works and everything, but it makes the closed card really, REALLY thick. I'd probably have to pay extra shipping if I were to mail it. Also, if you look at my picture, you can tell that the one strip on the left, curves out from the top and bottom, because of the layers. Oh well... It still works and I still like it, I just might change it up next time. Remember that little "BOO" factor I mentioned earlier? Well... I might of meant BIG! Lol. I used the Large Letters Framelits Dies to create it. I just couldn't resist. 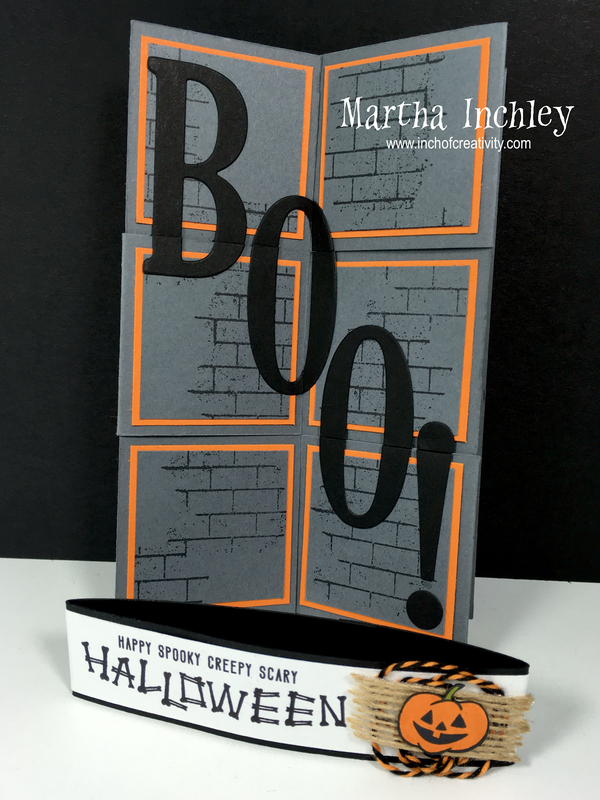 This fold was just too perfect to add a big ol' BOO! in. They're going to open it up, expecting a cute little Halloween greeting and instead... they get "BOO'ed". Ha Ha, I'm cheesy, I know! Once they reveal the hidden message they can slip the belly band back on and display it for all to see! Well, there you have it, my take on the hidden message fold. I hope you enjoyed my card today and make sure to keep on hopping for more Hidden Message Inspirations. Up next is the Talented Shannean Moncrieff! Enjoy! 2- Martha Inchley -That's me! Eeeekkkk Martha!!! This card is soooo cute. I love the colours and the stamps that you have used and the design. very inspiring card! 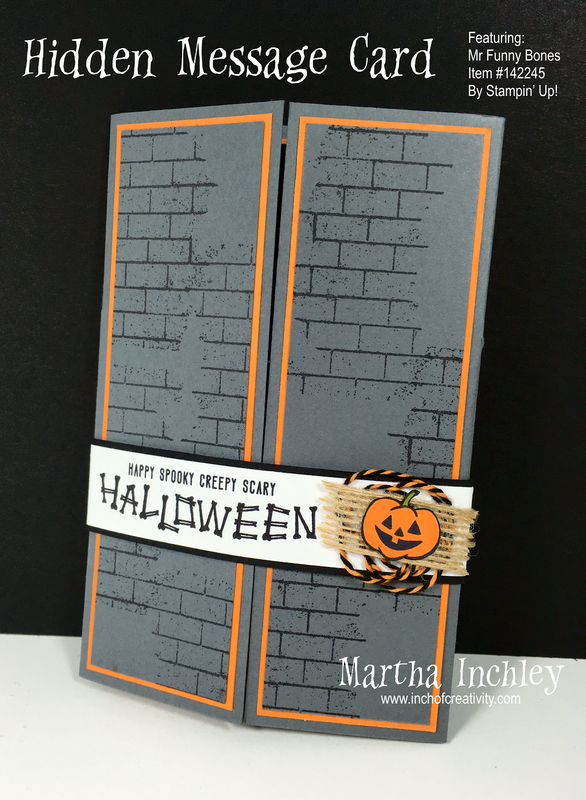 Wow Martha, that would have to be the best halloween card I have EVER seen, love everything about it.